We recommend that all dogs and cats take Heartworm and Flea Preventative all year round, for their entire lives. Dogs need to be tested for Heartworm Disease after they are 6 months of age, if they have not been on preventative. They are then tested annually. 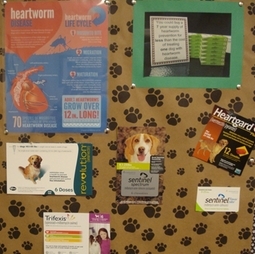 We have a variety of Heartworm and Flea preventatives in stock to fit the needs of your pet. A Doctor or Technician will talk to you and together we can figure out what best fits the needs of you pet.